This is "The Model Railroader's Guide to Coal Railroading" Model Railroader Book from Kalmbach Publishing Company. 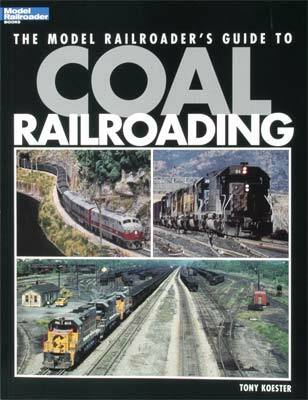 An excellent perfect bound, paperback reference for those modelers who want to add coal operations to their layout. Prototype photos, drawings and information to accurately replicate the industries, including a historical overview of the industry. Detailed and easy-to-follow with more than 130 color photos, and 70 black-and-white photos.